A one bedroom flat conversion from the 80’s. 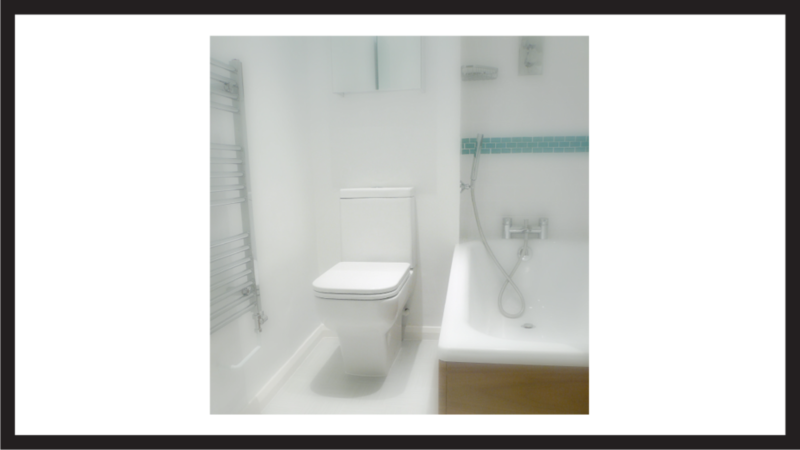 The bathroom was gutted and upgraded to this modern chic space with a splash of green. It was re-plastered, re-plumbed, thermostatic wall mixer valves, fixed overhead shower, walnut bath panels, semi ped sink (which leaves room underneath for scales or a bin), toilet with eco friendly dual flush and soft close seat, stainless steel wall cabinet and ‘Amitco’ tiled floor.